Metro offseasons are full of what-if scenarios, strange decisions, and inexcusable buffoonery that sendt ripple effects throughout the league. 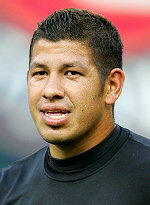 The Nick Rimando trades might just top that list. Yes, we said "trades". Plural. The astute reader knows that Nick Rimando has never appeared in a game for Metro. And yet, back in 2007, he spent two weeks on the club, in a sequence of events that is unparalleled in league history. Metro entered 2007 with Bruce Arena in charge for his first (as it turns out, only) offseason. The incumbent goalkeepers were Tony Meola and Jon Conway. The former, clearly on his last legs, was jettisoned, avoiding retirement by playing with newly-formed indoor New Jersey Ironmen. The latter stayed, but Arena thought that he needed veteran presence. In came Dutch shotstopper, 36-year-old Ronald Waterreus, who had successful stints with PSV and Scotland's Rangers. This was on January 29. For whatever reason, Arena decided that two somewhat-starting-level quality goalkeepers was not enough, and swung a trade on February 9, acquiring Nick Rimando from Salt Lake for the all-encompassing future considerations. Back in 2007, Rimando did not exactly have a reputation he owns today. Only 27, he had already spent seven years in the league, starting with the Miami Fusion, before being contracted to DC United. He had his ups and downs with the hated Scum, helping them to the league title in 2004 (Metro hero Mike Petke got a ring in the process). By 2006, he was reduced to a backup, starting only two league games. And now we need to talk about Freddy Adu. Remember that guy? By the end of 2006, the supposedly-17-year-old not-really-wunderkind had decided that he wanted out of MLS. A trade was orchestrated from DC to Salt Lake, apparently because the floundering Utah franchise wanted to sell some tickets before Adu was sent off on his way. He only lasted a miserable half a season in Salt Lake City. As part of that trade, DC got an allocation and backup keeper Jay Nolly. RSL got Rimando; the one-time promising keeper became basically a throw-in, who was a month later thrown at Metro. After arriving, Rimando played for Metro in preseason games. There was much speculation of what Arena would do, as going into the season with three veteran keepers seemed ill-advised. Waterreus was the new signing, Rimando was just acquired, so holdover Conway seemed to be on the chopping block. Rumors were circling about the man who originally acquired him for Metro, Mo Johnston, now in charge in Toronto. And then something strange happened. Scott Garlick, a rather capable MLS veteran who was slated to be RSL's starting keeper, abruptly decided to retire at the age of 34. Salt Lake was stuck without a goalkeeper, so they turned back to Rimando. On February 23, two weeks after he was acquired, he was sent back to Utah for... future considerations. So, yes, Nick Rimando was traded for future considerations that became Nick Rimando. Oh, MLS! As part of those future considerations, Metro also received two low draft picks. One of those was traded for cocaine lover Santino Quaranta (let's not talk about that). The other was part of the Supplemental Draft, which MLS decided to cancel altogether. Oh, MLS! In Utah, Rimando took the goalkeeper mantle and hadn't let it go since, starting for 12 seasons, breaking all kinds of league records, and helping his team to the 2009 MLS Cup (Metro hero Clint Mathis got a ring in the process). He also served as a backup in the 2014 World Cup. In Metro land, Waterreus quickly flamed out, Conway took over, and we spent years in goalkeeping wilderness, before settling on the fantastic Luis Robles.